Y. Sientje Henderson is an attorney in Roanoke, Virginia. She represents individuals who have been charged with serious criminal and traffic offenses and is admitted to practice in Virginia state courts. Ms. Henderson has appeared on behalf of clients in courtrooms throughout Southwest Virginia, including Smyth County, Wythe County, Pulaski County, Montgomery County, Roanoke County, Roanoke City, Franklin County, Botetourt County, and Rockbridge County. Prior to joining the firm, Ms. Henderson was corporate counsel to a restaurant corporation. In addition to her litigation practice, she assists family-owned and privately held businesses in the food service, hospitality, and restaurant industry, with Virginia Alcohol Beverage Control (ABC) licensing, regulatory guidance, and employment matters. A native of the Roanoke Valley, Ms. Henderson graduated from Hidden Valley High School and Virginia Tech prior to obtaining her legal education in Charlotte, North Carolina. 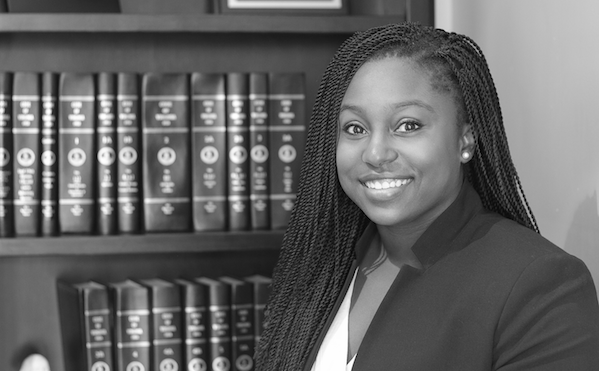 She served as the Community Service chair for the Charlotte School of Law Student Bar Association during law school. Charlotte School of Law, J.D.